After a car accident, many individuals are more worried about the health of their vehicle than their own physical health. This can be a recipe for disaster, especially if you ignore any potential signs that you may have gotten injured during the car accident. 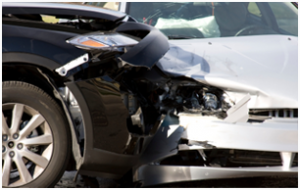 If you recently were involved in a car accident and treated your situation similarly, then chances are that you aren’t pleased with your car accident recovery plan currently in place. At St. Paul Chiropractic & Natural Medicine Center, we aim to create a custom and effective car accident recovery treatment plan so that both you and your car will be able to get back to full strength in no time. Just like when you take your vehicle to the auto repair shop after an accident, your body needs to get evaluated too. You may quickly take some pain medication to help alleviate the immediate pain, and there’s nothing wrong with that. However, solely relying on pain medication to help manage your car accident recovery is not ideal. At St. Paul Chiropractic & Natural Medicine Center, we take the opposite approach to help our patients suffering from a car accident injury. Our medical professionals focus on natural medicine techniques to address the true injuries that are setting you back. We’ll incorporate chiropractic adjustments and manipulations along with massage therapy to help relieve stress around the impacted areas. The issue with whiplash is that the symptoms aren’t always present immediately. Quite frequently, we have patients come to our office a few days after a car accident to get evaluated for whiplash. The issue with delaying your medical evaluation is that the whiplash injury may continue to get worse over time. So, even if you don’t feel like you are injured after a car accident, it is critical that you seek a medical treatment evaluation quickly. Specializing in whiplash recovery, we’ll help alleviate any pain that has been occurring. Your whiplash recovery treatment plan will be customized to your specific needs so that your natural recovery is handled timely and effectively.